I’m taking these eight stories together for two reasons. First, they all take place in World War II with Bucky, so they fit thematically. Second, there’s not much of ethical interest in them, being fairly basic tales of heroism and adventure—and there’s nothing wrong with that, but it doesn’t give me much to talk about here. Issues #64 and 65 were reworkings of two stories in Captain America Comics #1, and only have two notable things about them. Issue #64 features an Agent 13 of the Woman’s Army Corps, who was Betsy Ross in the original comics and remains unrelated to Sharon Carter or S.H.I.E.L.D. in the new version. The story retold in issue 65 was the first appearance of the Red Skull, although we learn in the next issue that it was not really the Skull we know anyway. In fact, issue #66 focuses almost entirely on the Red Skull after he captures Captain America and tortures him by telling him his life story. Although “Johann Schmidt Looks Back” takes up most of the issue—even though his name will not be revealed for some time yet—the end of the issue brings the greatest surprise. But first, Cap gets in a nice dig about the cowardice of bullies. Lest we miss the implications of this turn of events, the opening splash page for issue #67 makes it clear. After putting Cap through his paces, the Red Skull introduces his new foot soldier to Adolf Hitler himself, who is reportedly afraid of the Skull—and apparently of Cap as well. Sure you can’t, Skull, sure you can’t. 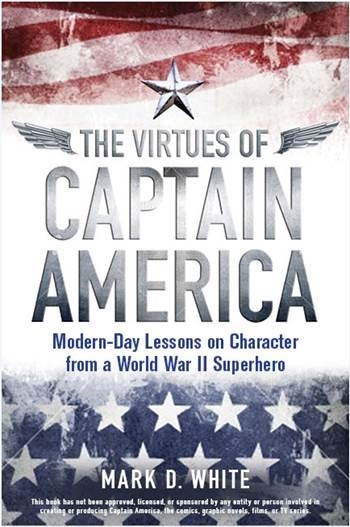 Meanwhile, Bucky escapes from the Skull’s captivity, overhears two Germans talking about Cap being under their control, and impersonates a German soldier to get to Cap, which he does aboard an airplane headed to London so Cap can assassinate a general from Allied high command. Bucky learns how deeply Cap is under their control when Cap doesn’t recognize him (which is mirrored decades later when Bucky resurfaces as the Winter Soldier and doesn’t recognize Cap). But when the Nazis and Cap get to the general’s office, they discover that their brainwashing and mind control wasn’t perfect, as Cap resists their order to shoot the general. In the opening pages of issue #68, we see that Cap has managed to break from the Red Skull’s control completely and is quickly joined by Bucky (still in German uniform). Nice to see he’s gotten some of his sass back as well! In this story Cap manages to resist the brainwashing and mind control when the Skull pushes him too far, which is what I wanted to see from the more recent Hydra episode (as I detailed here). This plot device is best used in Cap stories when he can be shown to fight back with his incomparable integrity and will, which he apparently does here, but could not do in the more recent story (instead being replaced by a new Cap created from a living Cosmic Cube’s memories). After the Germans are taken care, Cap explains what happened to the very trusting general and humbly refuses his thanks (although Bucky is more than happy to accept). This isn’t the end of the story, though, as Cap and Bucky find themselves fighting against a German who has stolen Project Vanish, an experimental disintegration ray the Allies developed and hid in northern England. As Cap lies injured mere feet from the German, he uses a little reverse psychology on him. Trickery isn’t one of the Cap’s usual tools, but he knows when there are few other options! The last three issues, #69-71, have Cap and Bucky dealing with an English conspirator, Dr. Cedric Rawlings, who is helping the Germans against the wishes of his sister Celia. It’s a fairly unremarkable tale of Bucky being captured and Cap deserting his unit to rescue him, only to be captured himself. We’ll return to Cap’s desertion later, but the more notable aspect of this story is a true moral dilemma, rare in these early issues: Cap must decide whether to destroy a V-2 missile aimed at London or fight the Nazis holding Celia hostage to ensure the missile takes off as planned. We see Cap and Bucky nicely lay out the problem and Celia nobly rejects help. Unfortunately we don’t get to see Cap’s solution to the dilemma… because Celia solves it for them. Unfortunately, Celia’s bravery is rewarded with a bullet. As she dies, she tells Cap about the attack his squad of Rangers is facing—the very attack he left too quickly to learn about ahead of time. Naturally, Cap feels even more guilty about deserting his unit after hearing this news, even though Bucky tries to argue that he had no choice. Cap knows full well he can’t be in two places at once, especially when he wasn’t aware of the danger he was leaving, but he can still regret not being about to do more—an example of the impossibly high standards he puts on himself (but often meets). But he does manage to solve this problem—by having Rawlings, who craves vengeance against the Nazis for the death of his sister, aim the missile toward the Nazi force bearing down on the Rangers Cap left. And of course, Cap insisted of checking the doctor’s figures. Because, you know, Project Rebirth also boosted his natural math abilities or something. Whew, I’m sure Rawlings feels better now. And the Rangers are saved… by a man armed only with a shield… and an unquenchable thirst for MATH! Stay tuned for issue #72, in which Steve Rogers’ desertion is addressed.